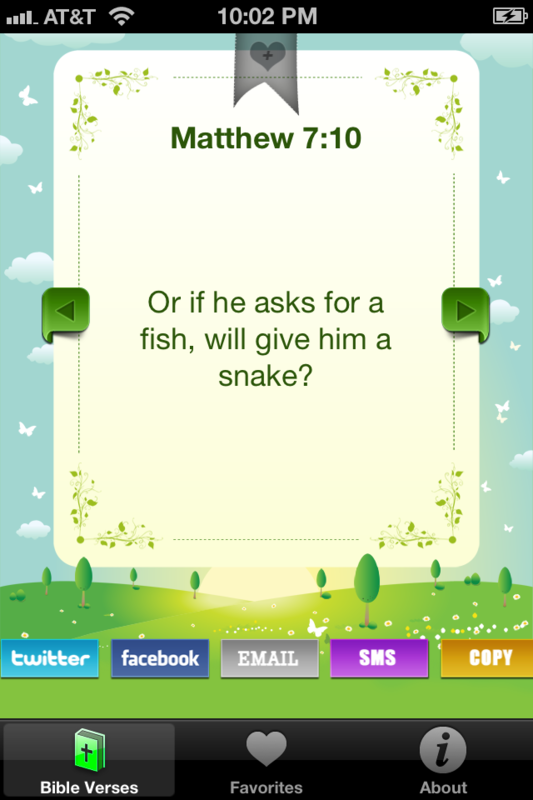 Beautiful Daily Verses from Bible straight to your heart. 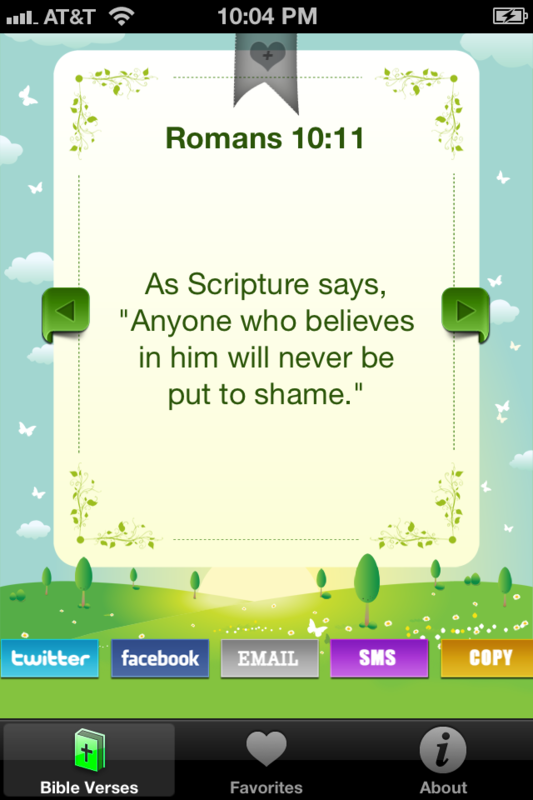 The Bible Verses App has thousands of selected texts to bring the Word of God to your life. The Bible Text’s will motivate, inspire, making your day much more enjoyable. You will see the life with much more optimism and hope, sharing with the people around the harmony of someone that believes in the Father’s Love. 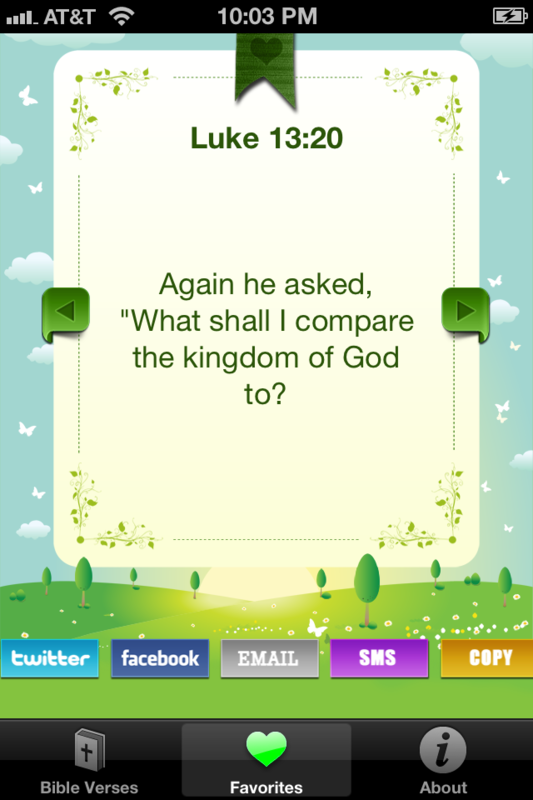 For only $0.99 you can unlock the PRO version of the Bible Verses app. 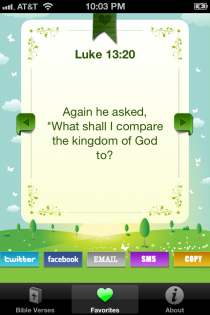 The PRO version allow you to share the Bible Verses on Twitter, Facebook, Email, Text Message or just copy the text to use in any other app. 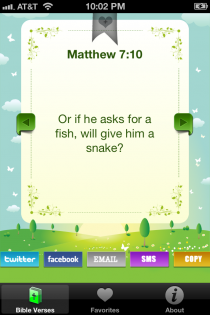 This is so easy to use and available whenever I need it. When my friends need a little inspiration I can txt it Facebook it, email it, or tweet it. Nice work!